We’re proud of our strong SEO results. 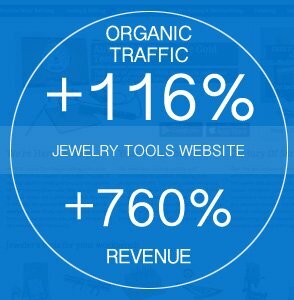 Let us grow your organic traffic too! 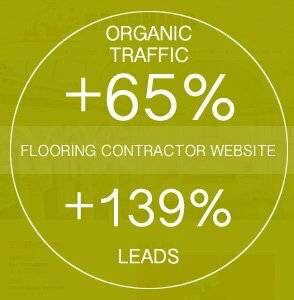 Flooring contractor SEO case study. Get in touch with us for your free SEO analysis. We’ll run a comprehensive analysis and provide you a free report. If you’re running your business online or simply have a website that represents your company, you’ve definitely heard about search engine optimization. Usually it doesn’t matter whether people have already heard about it or it’s the first time they’ve come across the term – it still sounds like some terrifying voodoo spell. SEO isn’t rocket science. However, it is a complex discipline that takes a while to learn. Some gurus out there claim that it took them years of dedicated study to understand it. Although that’s highly doubtful, if you don’t have the time to read up on the subject then you’re best off hiring an SEO agency like us. Understanding the basic SEO terms is crucial and that’s why we created this guide. But before we get down to business, let’s talk about what SEO is and why your website needs it. Search engine optimization (SEO) is a marketing discipline that explains the strategies, tactics, and methods for growing visibility online. It incorporates technical aspects like on-page optimization, keywords, etc., and creative ones like content. These strategies are all aimed at improving rankings, driving traffic, building trust, and increasing the chances that a search engine will find your website. OK, now that you understand what SEO is, why does your website need it? The importance of the Internet has significantly increased in recent years. We search and shop for most things online. So if you don’t engage with SEO you’re missing out on a great opportunity to attract new customers, followers, etc. As well as this, search engines are known to have an exceptional rate of return compared to other types of marketing, so optimizing your website’s chances of being found by Google is something worth investing in. Now let’s take a closer look at what you need to do to get online visibility. If you’re going to do SEO, you have to do it correctly and safely. In the marketing world they talk about three major optimization approaches: black, gray and white, a.k.a. black, gray and white hat SEO. Just by looking at the names you can tell which of these approaches are good and which are bad. But how exactly are they different? Black hat SEO is focused on search engines rather than the actual people who use websites. Its aim is to drive traffic even if that means breaking the Internet’s rules and policies. A website with a black hat is like a villain who’s trying to make a quick buck. Black hat SEO is usually used by websites that need a short term result and don’t care about their visitors. Needless to say, such websites often get banned or penalized. Gray hat SEO is neither good nor bad, it’s in-between – hence “gray”. Using it to improve the rankings of your website is risky because none of its methods are proven to be safe or to bring long term results. Last but not least, there’s white SEO, the only approach we use to promote websites online. 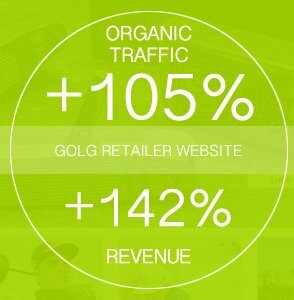 It’s proven to achieve the best, most sustainable results without putting a website’s authority or trust rate at risk. As opposed to black and gray hat methods, which are aimed at tricking and attacking search engines, white hat approaches focus on relevance, organic rankings and creating content that benefits its audience. Like never before, search engines today value websites with quality content that satisfies consumers’ needs, or at least does not abuse keyword use. If you don’t play by the rules you run the risk of falling out of favor with them. Google is undeniably the most popular and powerful source of traffic, so imagine the consequences of being banned from it. Of course, websites don’t get banned right away unless they do something outrageous. Usually, they get a warning and a 24-hour penalty. If they keep breaking the rules, they will most likely get banned from Google AND other search engines. Once banned, there’s no guarantee that the website will ever be re-listed. The consequences for the website’s business are tremendous. So if you’re looking for a safe way to gain visibility online that also provides a long term result, then white hat SEO is the way to go! If you use white hat methods there are no potential risks to the authority or functionality of your website. Search engines are continuously improving their algorithms in an effort to eliminate irrelevant and potentially dangerous websites. If your website is neither of these then you’ve nothing to fear. However, there is one drawback: it will take a while to see the results of all your work. But it’s worth the effort. White hat methods are safe, they provide sustainable results and you’re writing content for human readers, which helps to build community and generate leads. Imagine yourself walking through Venice Beach in Los Angeles, enjoying the hot south California winds, when all of a sudden your stomach starts rumbling and demanding food. If there isn’t a decent restaurant in sight, then most likely you’ll reach for your cell phone and Google “restaurants Venice beach” or something like that. In the course of the past few years, the traffic generated from mobile devices has overtaken fixed Internet use. People no longer just use their cell phones for calling and texting. Studies show that on average adults spend five hours a day on their phones. If that sounds alarming, consider that teens spend around nine hours a day using mobile devices. While this means more opportunities for businesses, it also means there’s another thing you’ve got to be aware of – mobile SEO. Mobile SEO describes a set of measures aimed at increasing your website’s visibility in mobile searches. Because many people these days search for products and services using their phones, you have to make sure that your website is accessible from a mobile device. Unresponsive design, low page speed, broken pictures etc. will scare visitors away from your website and hurt its rankings. So make sure that the mobile version of your website has a responsive design and that its elements are able to fit onto small screens. Also, make sure to ensure good page speed. Not everybody has the latest iPhone 7 or constant access to a high-speed connection. Users may face hardware and connectivity issues. So minify the code, optimize images and leverage browser caching. Also, avoid using pop-ups and Flash players. Users hate pop-ups even when they’re using desktops; trying to close one on a small screen is even more irritating and confusing. And since – as we said before – not everyone has a cutting-edge mobile device, if you use Flash player your website may display incorrectly on some people’s devices. If you want to add some special effects, use HTML5 instead. Another factor that affects your website’s ranking is its link profile, i.e. the quality and quantity of the site’s inbound and outbound links. Since the late 1990’s search engines have been using link profiles as a way to identify how and in what ways websites are related to each other. Link profiles are also a way to define the popularity of a resource, as well as its trust, spam and authority ratings. So in order to improve rankings websites have started to use link building techniques like commenting, guest posting, blogger outreach, etc. As algorithms improve and new methods are introduced, the importance of link building decreases. However, search specialists assert that it is still a huge part of modern SEO. However, just like everything in marketing, link building has to be done in the safest way possible. One of the safest and most popular ways to build links and increase brand awareness is blogger outreach. The idea behind this strategy is that a company looking for exposure for its product or service leverages influencers who have grown a serious following and acquired a certain level of authority. In return for a blogger’s content the company offers free samples of their products or free access to their services. However, you have to be very picky about the bloggers you reach out to. Here at LDA Interactive we only reach out to genuinely relevant bloggers and editors to make sure you get the best results for your money. Back in 1996 Bill Gates predicted that content would be a way to make real money on the Internet in the future. And so it proved. Over the past few years, content has become extremely important in digital marketing. However, the well-known saying “Content is king” is only half the truth. It’s not worth spending a dime on an article, video or picture unless you also devote resources to distributing it all over the Web so people can see it. Additionally, content creation has to be backed up by data. So before sitting down to create your next masterpiece you should do keyword research to figure out what search queries it will satisfy; conduct polls to determine what problems and interests your target audience has; and do a little research on your competitors to see what kind of content they create and how people react to it. In conclusion, content is important. It is especially great as a long-term strategy for SEO. But in order to make it engaging and visible, you have to do some prior work. The creation of high-quality, unique and useful content is an integral part of SEO and has a significant impact on rankings. A blog with regularly published, well-written, 300-500 word articles with internal links and naturally placed keywords will help your website rank for relevant search terms and keywords. As you create more quality content that users engage with your search rankings will improve, ensuring more exposure to targeted audiences. What do you do when you see an interesting quote or a pretty picture? You take a second to either like it, share it or subscribe to the page where you saw it. If your content is genuinely good it causes people to engage with your brand, whether they realize it or not. As you post more and more content online, you’ll grow awareness about your brand. Of course not everybody who engages with your material will turn into a customer, but that can’t be helped. Every consumer is at a different stage of their customer journey – some of them will buy from you the first time they read your article, while for others it will take more time before your material can satisfy their needs. So make sure to keep the content coming. Let’s say you own a local business in Los Angeles or have several branches across California. In order to gain visibility within a targeted region, you must take care of local SEO. Local SEO is slightly different from standard SEO campaigns; however, it includes a lot of the same tactics. Here are some important strategies. Setting up a Google My Business account is important if you’re going to compete for local rankings. Doing this provides Google with all the information they need for you to appear on their list. When setting up your account make sure to include a physical address and a phone number, and choose the right categories for your business. Upload as many quality photos as possible and provide a unique, thorough description. Add your opening hours and make sure to keep them updated. Local search rankings are directly impacted by customer feedback, so put some time and effort into acquiring some. As well as obtaining Google reviews you should pay attention to other platforms, such as Yelp, which is used by Apple maps. You might also want to check out other local directories depending on your business. For example, if you own a hotel in a certain area, you might want to place information about it on TripAdvisor and Booking.com; Apple apps also use reviews from these sites. The easiest way to get feedback is to reach out to your existing customers to see if they’d be interested in leaving a review. Another way is to create a page on your website with instructions on how people can review your business. No matter what method you choose, make sure to provide some sort of incentive (a discount, a free sample, etc.) that rewards customers for providing feedback. There’s quite a large weighting towards on-page content in local search listings, so it’s important to leverage your content wherever possible. Local SEO requires a different link building procedure to a standard SEO campaign. In the latter, a website seeks to obtain links from high-authority sites. Although such links are always helpful, local SEO also requires that you get links from local websites related to your business. To get started, submit information about your business to local directories. They are a useful resource for link building, especially when it comes to building citations. Keep in mind that not all directories allow you to post your website URL, but even having your business’ name, address and phone number listed is helpful. Before building an SEO campaign for your project, we will analyze your niche and your competitors in order to create the most effective campaign possible. Doing a competition audit before starting any kind of promotional campaign is crucial. Firstly, you will get a clear understanding of who your competitors are, what services/products they offer and at what prices, how they position themselves, etc. Then you’ll know what you’re up against and what it is that makes your business different/better. Secondly, the audit will help you to understand what kind of content your competitors are using to attract customers and build trust and authority. Last but not least, you will find out what channels your competitors are using to promote their products and brand. The overall goal of a competition audit is to discover what’s working for other people and what makes them visible online, then to take the best ideas and adjust them to the needs of your business. If you do a search for one of your target keywords on Google the first 10 results will probably be websites run by your competitors. This is partly due to the quality backlinks pointing to their websites. Now imagine if your backlink profile was just as good. Monitoring your competitors’ backlinks is part of the process of link-building, but it has other uses too. The places that mention your competitors or post their content are opportunities where you can find your own target audience. So on top of working towards optimization, backlinks also help drive traffic to your website. However, when building a backlink profile you have to be discerning with your resources. Posting on spammy or untrustworthy websites can hurt the authority of the website you’re promoting and even get it penalized. It’s recommended that you avoid gambling, adult and spammy websites, low authority resources, and websites that promote aggression, hate or violence. We understand the risks and conduct our work responsibly. Our aim is to build backlink profiles that are both high-quality and trustworthy. When running an online business it’s important to constantly track these traffic sources and check up on the quality of attracted visitors. The last thing you want to do is spend money on attracting people who are not going to become customers, viewers, readers, etc. If you understand where the biggest sources of prospective customers are, you can direct more resources towards obtaining traffic from those sources. But it’s always good to keep an eye on competitors’ traffic sources too. Here’s an example. Let’s say you’ve been getting customers from Google for the past couple of years. Your competitor’s been leveraging this channel too. However, they’ve also started a YouTube channel and they’re bombarding social media with their content. As a result their traffic – and sales – have skyrocketed. This is a best case scenario, but nevertheless it’s a great example of what can happen. By monitoring competitors’ traffic sources you can discover a lot of new or modified promotional methods and implement the ideas that will improve your own business’ performance. For example, you can research how your competitors are promoted in social networks and who by, or examine what paid and organic keywords they use and how they differ from the ones that you use. Analytics data is always useful, so when we’re building your promotional campaign we will analyze the traffic sources of your main competitors in order to help you surpass them. SEO isn’t easy, but if it’s handled by professionals it can achieve outstanding results for your business. Contact us today to begin your journey to the top 10.